Having just moved to near Exeter with the fiancé, I have been looking for somewhere a little closer to us to visit for afternoon tea. 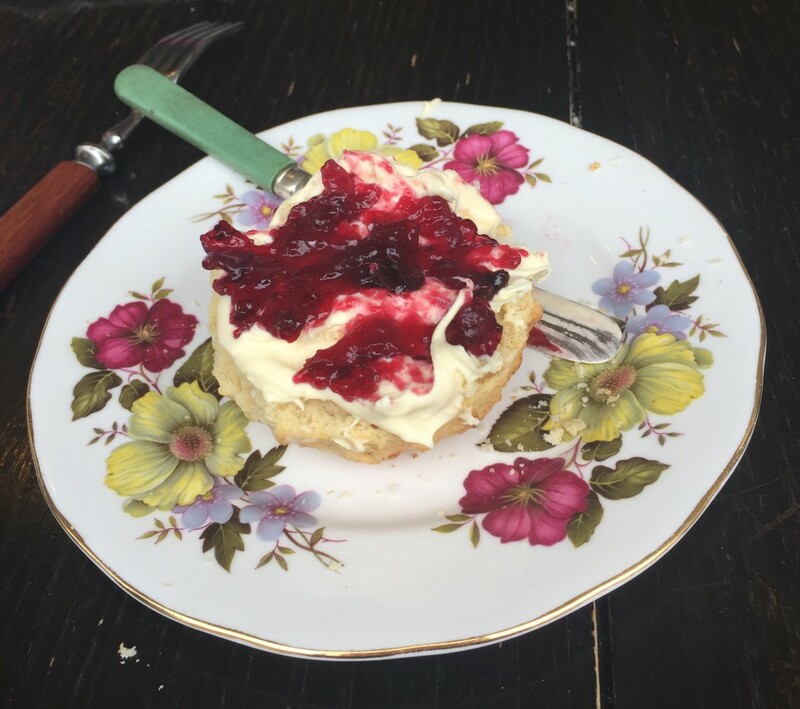 After a lot of Googling, I stumbled across the website for The Hidden Treasure Tea Room in Exeter, and thought it could be the gem I was looking for. 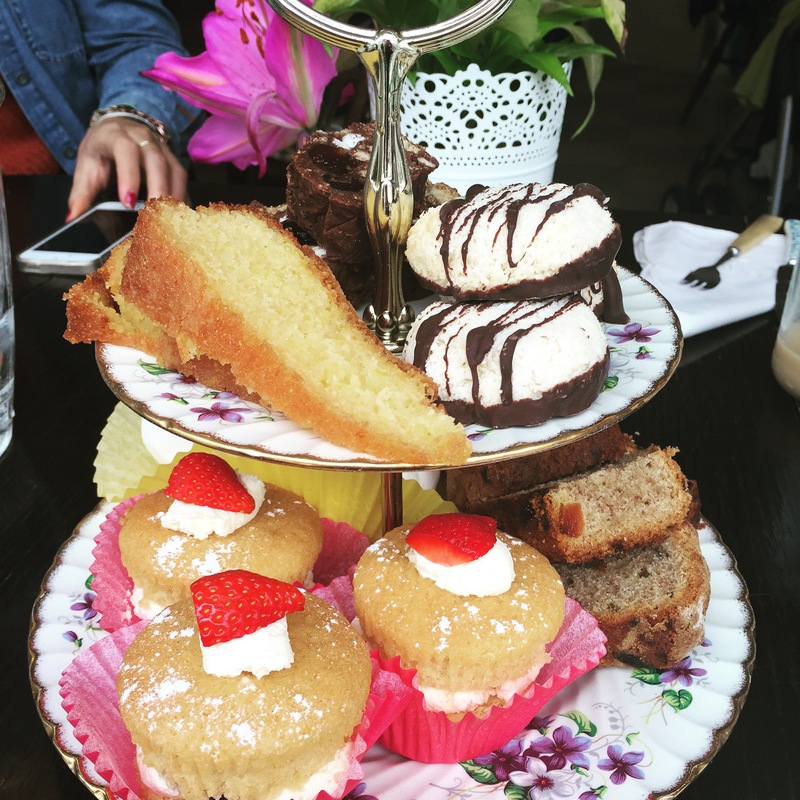 As it had just been my birthday – I really am getting old, I decided to spend a day shopping with the girls, followed by a delicious afternoon tea. From what I had heard from friends about the tea room getting busy, I decided to book a table in advance, along with the afternoon tea option. While I got the tea room’s address off of the website, I wasn’t quite sure where abouts it was located. It turns out, it’s located outside of the city centre, on New Bridge Street, about a 10 minute walk from the centre. When we arrived, I instantly fell in love with the style of the vintage-inspired tea room. With pretty bunting hung around the room, lacey lampshades, lace doilies, and fresh vases of flowers, it was like stepping back in time. We were promptly shown to our table by a friendly waitress, and were then greeted by what I presume was the manager. She gave us a menu each to select our drinks from – I must admit, I was impressed by the amount of choice. 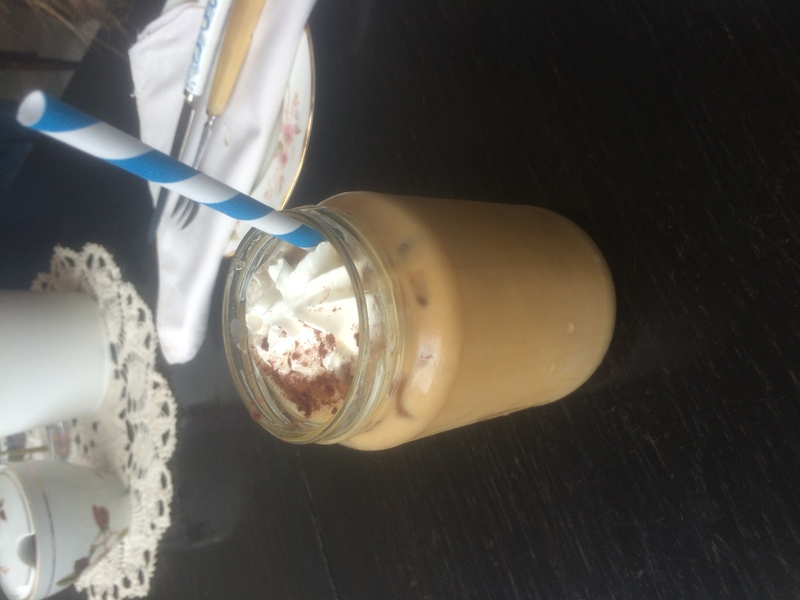 Including a selection of loose leaf teas, locally roasted organic coffee, and homemade iced tea, coffee, and Victorian lemonade, there were plenty of drinks to choose from. 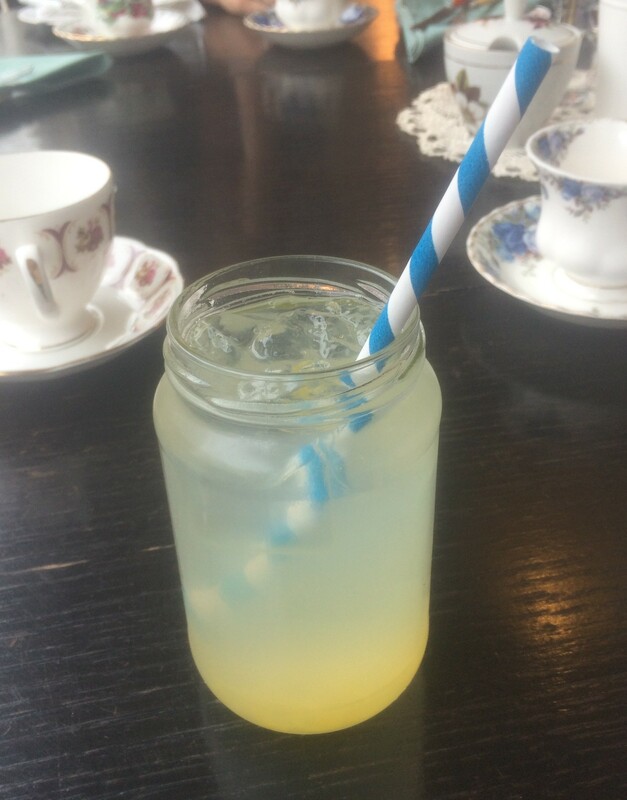 While I would normally opt for a pot of tea to go with my afternoon tea, the Victorian lemonade was just too tempting. (I don’t like fizzy drinks, so anytime I see still lemonade, I always order it.) A couple of the girls chose iced coffee and a couple iced tea, both of which came in a range of flavours and were delicious. Once we had our drinks, the manager then told us that the sandwiches would be ham and mustard, cheese and pickle, smoked salmon pate, and cream cheese and cucumber. Unlike at Angels in Babbacombe, we didn’t get to choose one sandwich filling each, the only option was a selection. 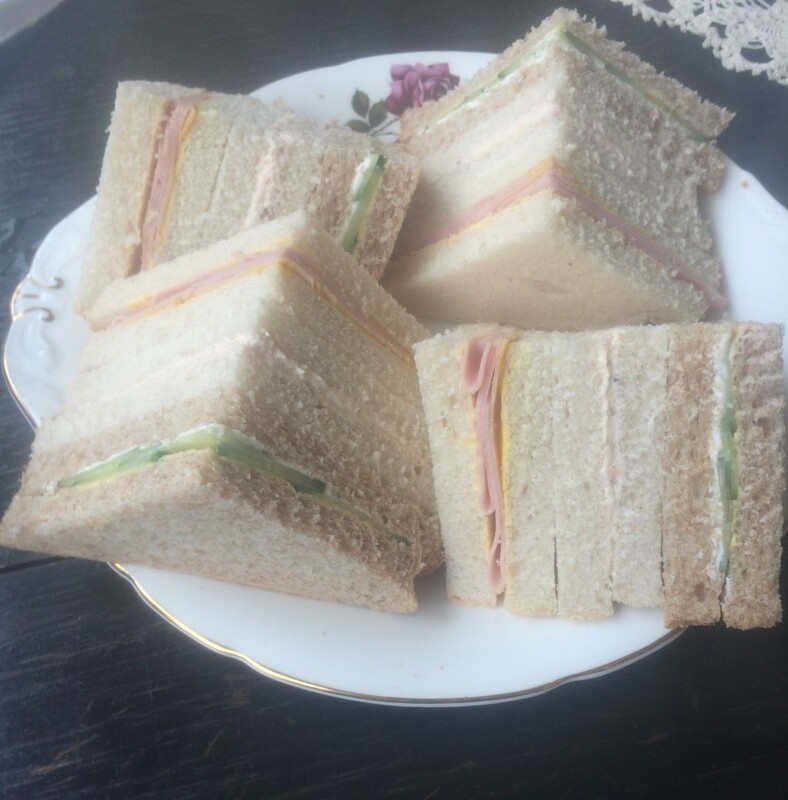 A couple of minutes later, our sandwiches appeared on two beautiful bone china plates. 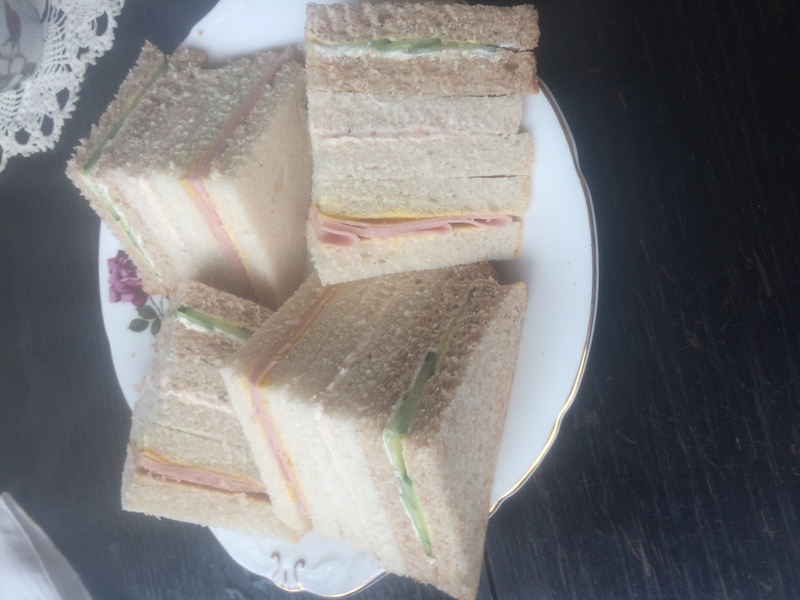 For six people, we were given six sandwiches – four mini triangles each. The sandwiches were made up of a mixture of brown and white bread. I tend to opt for granary bread wherever I go, so I wasn’t too keen on these choices of bread. 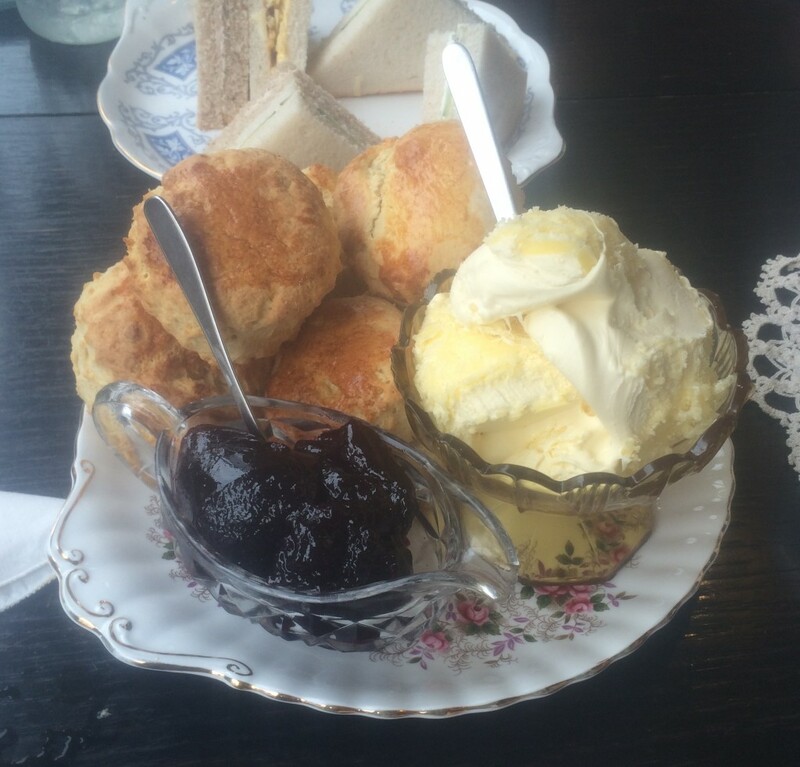 While the scones were yummy, personally I like to have a choice of the type of scone I have – fruit or plain. The scones we were given were all plain, I would have loved the option of a fruit scone. However, they were freshly baked, so tasted AMAZING! By the time we’d finished our scones, we were all getting pretty full. Just as we were saying how we didn’t think we could eat another bite, out came a vintage cake stand, complete with a range of cakes. On the two tier cake stand, there were fresh cream and strawberry cupcakes, lemon curd and cream meringues, mini rocky roads, banana and apricot cake, coconut macaroons, and lemon and polenta cake. As there tended to be three of each type of cake, we chose to split everything in half. Most of the cakes were delicious, a couple were a little dry, but overall they were yummy. Once we had eaten most of the cakes – we couldn’t quite finish them, out came a plate of mini petit fours. These were marzipan and walnut and date and walnut, they looked lovely but as I can’t eat walnuts, I didn’t have one. Priced at £13.95 per person, that’s nearly £5 more than Angels in Babbacombe charge, I felt it was a little overpriced. (Had the bread been freshly baked and there had been more choice of sandwich fillings, I would have been happy paying that price.) That being said, it was a lovely afternoon. The food was yummy, the service was good and the staff were polite. 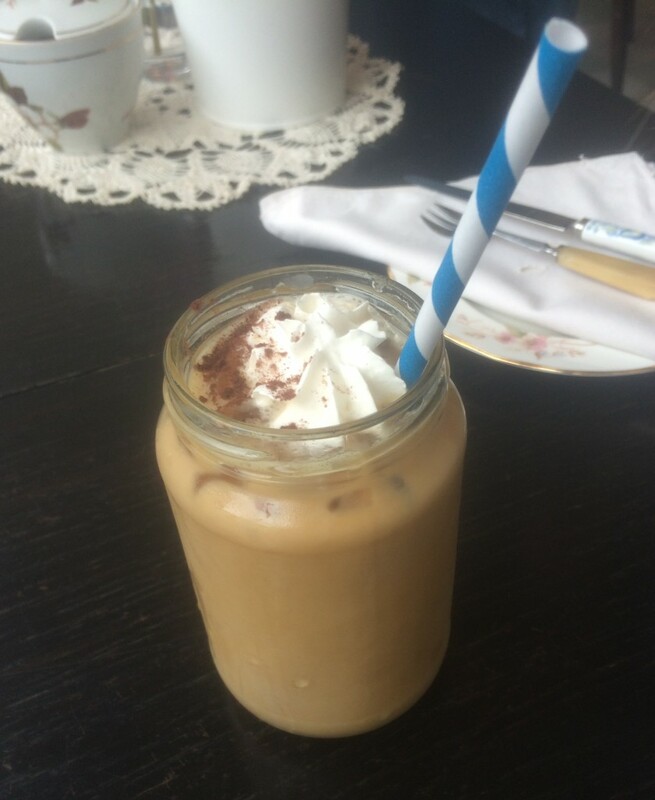 If you are looking for somewhere to relax after a morning of shopping in the city, The Hidden Treasure Tea Room should definitely be on your radar. Previous Article← What’s On My Desk?